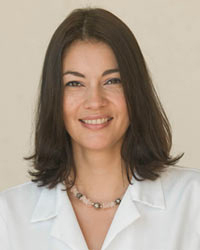 Andrea S. Schmutz AP, DOM – acupuncture physician and doctor of oriental medicine – graduated from ATOM – The Atlantic Institute of Oriental Medicine with high honors, including Outstanding Student of the Year Award in 2007. Andrea is a native of Switzerland and is fluent in 5 languages. Andrea began her career in medicine as a registered nurse in 1995, working at Jackson Memorial Hospital in Miami and later at Joe DiMaggio Memorial Hospital in Hollywood Florida. Andrea remains in the field of western medicine as Nursing Supervisor at Fertility and Genetics in Plantation Florida. She blends her knowledge of western medicine with that of eastern medicine, practicing an holistic style of treatment at her new residence – 17971 Biscayne Blvd. in Aventura Florida – where she practices Acupuncture and Chinese Herbal Medicine. Andrea treats a myriad of conditions including infertility (her specialty) as well as most women’s health issues, chronic and acute pain conditions, as well as many other illnesses and conditions. Andrea has extensive knowledge of western and eastern medicine and aims to provide the highest quality of treatment to all of her patients. Please call 786-537-7022 to make an appointment and get started on the path to true healing and optimal wellness. Andrea also accepts most major insurances.